About: Partners In Healing is an Integrated Holistic Health Clinic located in South Florida. Owned an operated by Retired Firefighter Rosanne Calabrese, AP. Partners In Healing offers Acupuncture, Cellular Detoxification, Nutrition, CranioSacral, Medical Qi Gong, Reflexology, Fertility Counseling, Chiropractic, Sound and Light Therapy, Laser Therapy and much more. About: “Fannie is a mature practitioner with the grace of a life finally devoted to what she cares about… She brings a living experience of the ways in which acupuncture can restore you to a sense of bodily well-being that you have either forgotten or never known was possible.” – Teri T.
Fannie specializes in the areas of acute and chronic myofascial pain conditions, women’s health (including fertility), and anxiety disorders. She has a strong interest in food cures and the topical use of Chinese herbs, which is evident in the prominent role of nutrition counseling in her practice and the creation of her own line of tendon and trauma liniments. 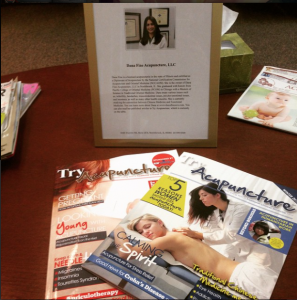 About: Christine Adamo is a board certified Oriental medical practitioner in the state of California. She practices various forms of Eastern medicine including herbal medicine, nutrition, supplementation, acupuncture, and detoxification. 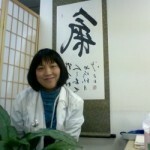 She is a graduate of the Pacific College of Oriental Medicine in San Diego, CA and has studied in China at the Chengdu University of Traditional Chinese Medicine. Christine’s training is in internal medicine. She treats various conditions such as digestive disorders, cardiovascular issues, neurological disorders, autoimmune diseases and pain. Christine’s specialty is in the field of oncology. She offers integrative care for patients struggling with the side effects of chemotherapy, radiation, and surgery. 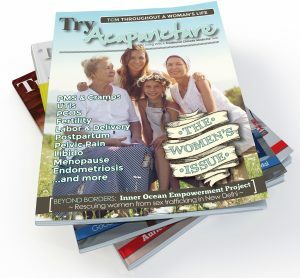 In addition, she offers assistance to patients who choose to bypass conventional cancer care. About: Specialized in pediatrics, fertility, maternity, labor and delivery, women's health,, oncology and internal medicine. 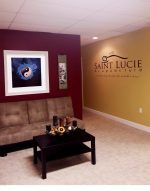 I use Acupuncture, Herbs, nutritional consultation, sound healing, cranial sacral therapy and Qi Gong to help my patients on their healing path. About: I have been in practice for over 16 years. I am currently practicing in Saguaro Clinic and specialize in pain relief, working with Veterans on a variety of emotional and physical health issues, elder care, cancer treatment support and fertility support. I have 40 years of experience in herbal and nutritional supplement use, including extensive training in Chinese Herbs and Homeopathic remedies. I combine a variety of acupuncture techniques with nutritional and lifestyle counseling to support your journey to health. I use a stress reduction tool called the BioscanSRT and a cold laser for a needle-free acupuncture experience. I also use the Bioscan MSA device, a computerized analysis measuring frequencies from acupuncture meridians on the body. A flat probe is used on the fingers and toes to obtain these readings. Since the acupuncture meridians have pathways to organs alongside the nervous system, we can use this method to reach our goal: a balanced system that responds appropriately to stress and increased health. A reading of 50 indicates that the organ/meridan is balanced. Readings above or below 50 indicate that a chronic or inflammatory process going on with the organ/meridian. Acupuncture, whole food nutrition, homeopathics, and herbal remedies are used to bring the body into balance once again. This is a comprehensive program for health which requires a commitment to making certain lifestyle changes and regular treatment. I enjoy what I do and hope you will join us at Saguaro Clinic for support in your continuing journey toward perfect health. About: Xilin F. Jordan is a practitioner of traditional Chinese medicine, holding an NCCAOM diploma, and licensed in three states. She was born and primarily trained in China, and completed four years of further study in Oriental medicine at the Pacific College of Oriental Medicine in New York, where she earned her American degrees and expanded her knowledge of Western medicine as well. 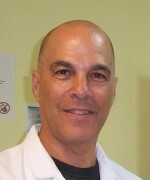 In addition, Dr. Jordan absolved a personal apprenticeship with the noted acupuncturist Dr. Zhang Zheng Hai in China, where she continues periodically to work in teams with other doctors at hospitals in Zhu Hai, Shijiazhuang and Nantong, treating conditions such as post-stroke syndromes, Bell’s palsy, muscular disorders, head, back, neck, shoulder and wrist pain, and various chronic diseases. In her private practice, Dr. Jordan has also emphasized women’s problems, including issues of fertility. 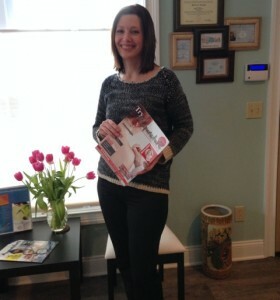 About: Patient Centered Care is a Top Priority at Hartland Center of Alternative Medicine. It is a patient/provider relationship, it means time spent listening, genuine concern for you, and working diligently to get to the root of the health care issue.